Dual Channel Fibre Channel Card, Switch and Storage eliminates all points of failure. Support RAID 0, 1, 1+0, 3, 5 and 6. 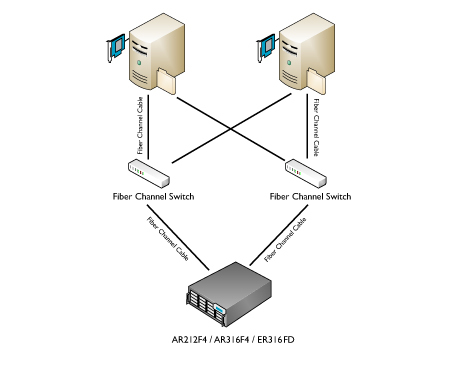 Note: Each Server equipped with Dual Channel SCSI/Fibre Channel Host Bus Adapter Controllers.